HMD’s most affordable Nokia smartphone, the Nokia 3, is starting today, available via offline channels in the United Kingdom. The 3 will retail in the UK for £119.99 (€136, $155), even though the online retailer Clove has the 3 priced at £149.99 (€170, $193). If you want to buy the 3 in the UK, try contacting your local store and checking if they have the device in stock. Online sales are expected to start soon, and among retailers are: Carphone Warehouse, Clove, John Lewis, Vodafone, EE, Argos, Tesco, Virgin, and Amazon. Exclusive licensee of the Nokia brand, Finnish Company HMD Global, already announced the price of the phone and that the registration for the phone start today. 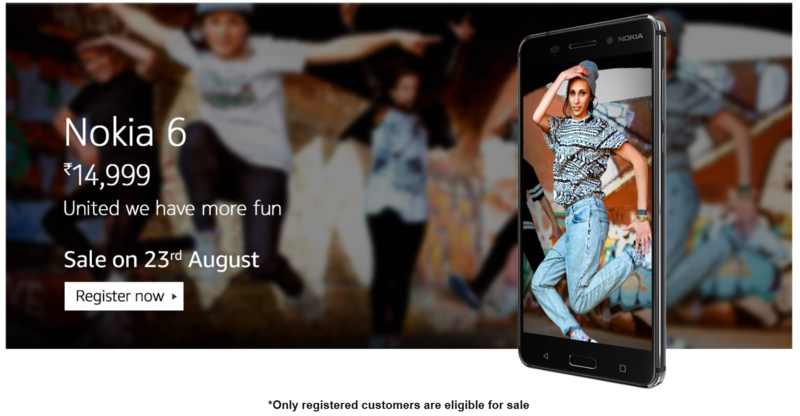 Nokia 6 is priced at 14,999INR or €204 ($232). The device will be available via flash sales and only those who register can buy the device on 23rd August.